As you contemplate your student’s time at Nueva coming to a close, we offer you the opportunity to join us in thanking the dedicated teachers who have had such a profound impact on your student. We will present Nueva's teachers with the Class of 2019 Endowment for Professional Development as a token of our appreciation. This will be the first endowed fund ever created by parents of graduating seniors — and, we hope, a tradition that will be followed by every future graduating class. The heart of a great school rests in its faculty. 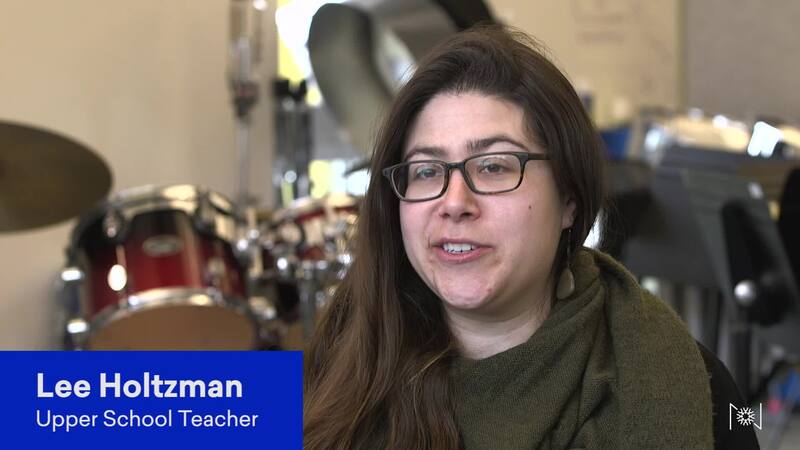 Attracting and retaining world-class educators is a key priority for Nueva, and professional development is an important way that we honor and support our teachers for the work they do every day. By expanding their access to growth opportunities, we recognize them as lifelong learners right beside our students. This endowed fund will be dedicated to professional development, giving teachers a vast array of opportunities to broaden and deepen their practice. Faculty may attend courses to explore teaching and learning innovations, deepen their content knowledge, or receive research and development grants to cultivate innovative new curricula, programs, and institutes. These professional development opportunities come back to Nueva and expand through collaboration and application, becoming the fabric of innovation and passion for learning that your children have experienced as students, and you’ve witnessed as parents. What better way to say thank you to Nueva’s talented, committed faculty than to make an investment in their education and growth? We invite you to join us. Who is being asked to support the Class of 2019 Endowment for Professional Development? Is this a separate fundraising effort or is it part of the Realize the Potential (RTP) capital campaign? I have a graduating senior, but I also have students in lower grades. Will I be asked to participate in future endowed funds when they are graduating seniors? How will the Class of 2019 Endowment for Professional Development be recognized? Am I also going to be asked to support the RTP Campaign next fall if I have children in lower grades? Does the Class of 2019 Endowment for Faculty Professional Development exclusively support Upper School Faculty? How do endowed funds at Nueva work? Will I ever be asked to support the Class of 2019 Endowment for Professional Development again? I have a graduating senior, but I’ve already made a commitment to RTP. Am I being asked for another gift to the Class of 2019 Endowment for Professional Development? All parents of graduating seniors will be asked to support the Class of 2019 Endowment for Professional Development. The Class of 2019 Endowment for Professional Development is part of the Realize the Potential capital campaign. The campaign includes a $35M endowment goal and this effort will help meet this goal by raising $1M specifically for faculty professional development. Yes. The Class of 2019 Endowment for Professional Development will serve as inspiration for all future classes. Each graduation class going forward will add to the endowment. Nueva School publishes an Annual Report on Philanthropy every year. The Class of 2019 Endowment for Professional Development will be listed annually, in perpetuity. In Nueva’s 2018-19 Report on Philanthropy, all donors to the fund will be listed alphabetically. In addition, donors will be recognized at the appropriate level in the RTP Campaign section of the Report. A gift to the Class of 2019 Endowment for Professional Development is your gift to the RTP Campaign. If you would like to talk about giving to other RTP Campaign priorities, we would be pleased to speak with you. No. This endowment will support all Nueva faculty members, several of whom serve all three divisions. The intent of an endowed fund at Nueva is to provide funding for the specified purpose in perpetuity while maintaining spending power over time. Endowed funds are invested under the supervision of the Board of Trustees’ Endowment Committee. This Committee adheres to a spending policy that provides a stable source of funding for the specified purpose, while reinvesting a portion of the earnings to maintain spending power over time. This is a one-time opportunity on the occasion of your Class of 2019 student’s graduation to show your appreciation to the faculty that have made such a difference in your child’s life. No, you will not be asked for another gift. We thank you for your gift to the RTP Campaign, and you will be recognized as a donor to the Class of 2019 Endowment for Professional Development.